Because of the broad nature of SEO, there is a lot of misinformation out there mixed in with the truths and effective strategies that comprise it. With mystery surrounding many aspects of how search engine algorithms function, subjectivity can be a dangerous thing that allows for SEO enthusiasts from all walks of life to speculate. While speculation in and of itself is not a bad thing, the prevalence of some SEO myths can be damaging or ignorant. This is why we have put together a list of the five most infuriating SEO myths out there, so that you will be able to set aside the truth from all the misinformation and speculation. 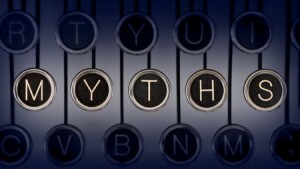 How this myth ever became a prevalent talking point is beyond us, but it is one that gets repeated all the time. There is a simple truth to SEO at its core: you must continue to engage with content creation, marketing and SEO theory on a consistent basis if you want to dominate and maintain that dominance. With so many competitors out there ready to knock you down a peg, it is absolutely infuriating to hear people say that SEO is something that only has to be done initially and then can be forgotten about. Every year or so, we get another rush of content strewn about the web that suggests link building is dead. Once again, this myth is spreading like wildfire across a variety of SEO blogs, so let’s put it to rest once and for all. The nature of link building is always changing, and sure, this can be considered a “death” in some capacity. Much like a phoenix, however, link rebuilding continues to rise from the ashes. Pinging links across various sources – both inbound and outbound – will remain a prime measurement of SEO strength for the foreseeable future. This is another horrible and infuriating concept that needs to die ASAP. Reaching number one in SERPs is very, very difficult, and thankfully, it’s not necessary. Getting to the second or third slot in a SERP is exponentially easier, and will suffice under certain conditions. If your SEO efforts are built around quality topics and subjects (think long-tail keywords), then you will drive much more traffic through that than by being number one in a given SERP. With update after update to algorithms that seek to crack down on SEO abuse, many people have assumed that Google, Bing and others hate SEO in general. This is not true and can be proven by the fact that search engines not only explain that SEO can help save webmasters time and frustration, but that they also shed light on specific algorithm changes with the intent of guiding webmasters in the right direction. What is this, 2012? While some search engines suggest that pinging links via social media does not affect SEO in the long-run, there are other factors to consider. The most important element is that your social media pages can rank in and of themselves in SERPs alongside your website, giving your brand a secondary SEO effect and increasing the chances that you intercept desired traffic. You really have to remember that if you are concentrating on an “.gov” mention, then you want to make sure it’s relevant. It’s pointless to get a random .gov link that doesn’t make any sense. It won’t help you.